MEYERS+ is providing electrical engineering services in collaboration with SSR, Manica Architecture and Kendall Heaton. Our scope of work includes the two Office Towers, Market Hall and Gate House. We also are designing the fire alarm system site-wide and providing on-site field representation during construction for the arena. MEYERS+ is providing mechanical, plumbing and fire protection engineering services in collaboration with AEI, SmithGroup and Field/Paoli. We are designing mechanical systems for the fashion outlet retail mall, residences and below grade and structured parking garages. MEYERS+ is providing electrical engineering services in collaboration with ATCE, SHoP and Quezada architects. Our scope of work includes site utility infrastructure and lighting design for an outdoor park and pedestrian street. 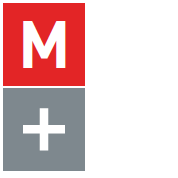 MEYERS+ is providing mechanical and electrical engineering services in collaboration with Hensel Phelps/Gensler. The programming phase includes stakeholder engagement and the creation of a basis of design for the reconstruction of Terminal 1 Center at San Francisco International Airport. MEYERS+ provided mechanical, electrical and plumbing engineering services in collaboration with BCJ. Our scope of work included building assessments of Angelico Hall, Guzman Hall and Alemany Library as well as schematic design for the remodel of Alemany Library. MEYERS+ is providing mechanical engineering services in collaboration with HOK S+R+E. Our services include construction phase mechanical engineering consulting. Our efforts include coordinating the efforts and work flow of the architect, engineer, contractor and mechanical subcontractors. MEYERS+ is providing electrical engineering services in collaboration with Sprig Electric. We are the electrical engineer-of-record for this 42 story residential high rise building designed by SOM/Fougeron Architecture. Meyers+ is providing electrical engineering consulting in collaboration with Jones Lang LaSalle and Axis Architecture. The project includes systems peer review and expediting approvals from PG&E and City of San Francisco electrical inspection.